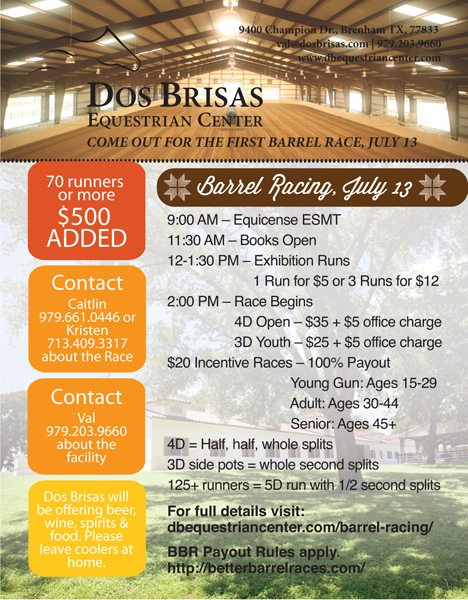 Join the Dos Brisas Equestrian Center for it’s first Barrel Race July 13, 2014! 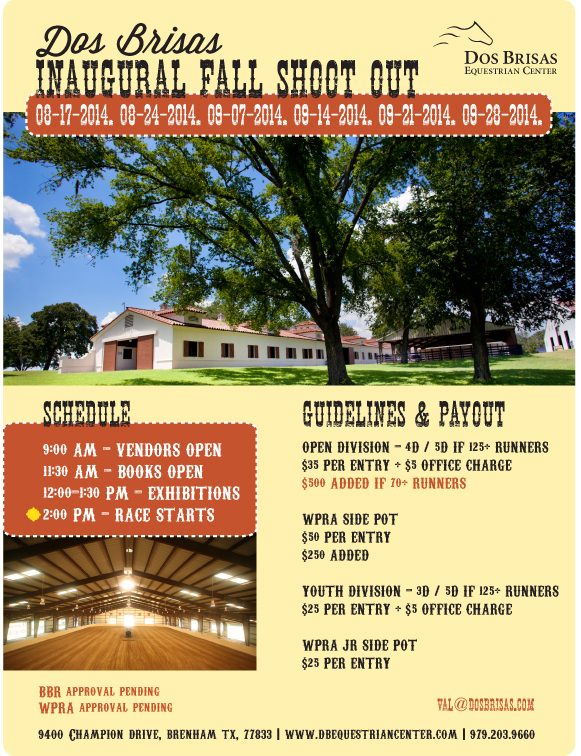 Pre-register for our Inaugural Fall Shoot Out series! BBR and WPRA Approval Pending.